#SCMS15 — Post-Cinema, Digital Seriality, and a Book Giveaway! 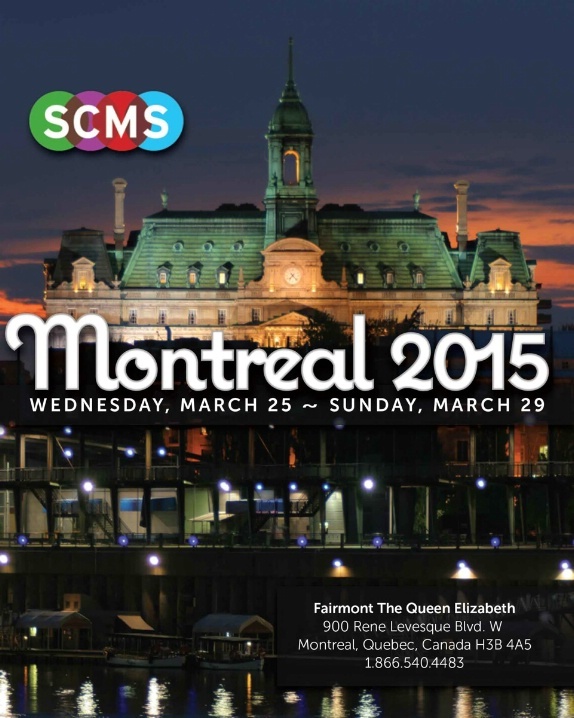 Only two weeks until the 2015 Society for Cinema and Media Studies annual conference (March 25-29 in Montreal)! In case you haven’t seen it already, the official program is now up here (warning: opens as a PDF). First, I will be serving as chair on the “Post-Cinema and/as Speculative Media Theory” panel (Session K7: Friday, March 27, 9:00 – 10:45am), for which I feel extremely lucky to have secured an all-star lineup of panelists: Steven Shaviro, Patricia Pisters, Adrian Ivakhiv, and Mark B. N. Hansen (click on each name to read the panelists’ abstracts). I also feel very honored that the Media and the Environment Special Interest Group has chosen this panel for official sponsorship! Finally, just for fun: A BOOK GIVEAWAY! The first person to ask me (in person, during the conference) about my book Postnaturalism: Frankenstein, Film, and the Anthropotechnical Interface (excerpt here) will get a free copy! So be on the lookout! First, I will be chairing the panel on “Post-Cinema and/as Speculative Media Theory” (panel K7, Friday, March 27, 2015, 9:00-10:45am) — with presenters Steven Shaviro, Patricia Pisters, Adrian Ivakhiv, and Mark B. N. Hansen. You can find the complete panel description, as well as individual abstracts, here. Note also that all participants on this panel are contributors to the forthcoming Post-Cinema: Theorizing 21st-Century Film, which I am co-editing with Julia Leyda. Maria Sulimma on cross-medium serialities in The Walking Dead! So what are you waiting for? Do yourself a favor and check out this issue now! 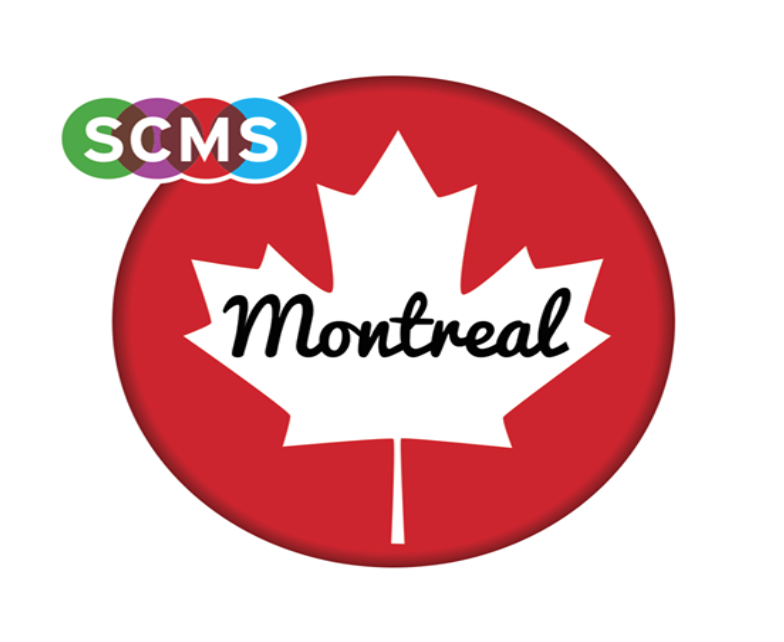 At the upcoming conference of the Society for Cinema and Media Studies (March 25-29, 2015 in Montréal), I will be participating in a panel on “Digital Seriality,” co-chaired by Andreas Jahn-Sudmann and Scott Higgins, along with Dominik Maeder and Daniela Wentz. Seriality and the digital are key concepts for an understanding of many current forms, texts, and technologies of media, and they are implicated in much broader media-historical trajectories as well. Beyond the forms and functions of specific cultural artifacts, they are central to our global media ecology. Surprisingly, though, relatively few attempts have been made at thinking the digital and the serial together, as intimately connected perspectives on media. This is precisely the task of the present panel. On the one hand, the papers interrogate the serial conditions, forms, and effects of digital culture; on the other hand, they question the role of the digital as technocultural embodiment, determinant, or matrix for serialized media aesthetics and practices. The panel thus brings together heretofore isolated perspectives from studies of new media culture (cf. Manovich 2001, Jenkins 2006) and emerging scholarship on seriality (cf. Kelleter 2012, Allen and van den Berg 2014). Seriality and digitality are understood here in terms not only of their narrative/representational manifestations but also their technical-operational impacts on our media environments. Accordingly, Shane Denson and Andreas Jahn-Sudmann’s paper looks to the case of the Xbox One in order to show how computational platforms affect the serial forms and practices emerging within, among, and around digital games (“intra-,” “inter-,” and “para-ludic” serialities; cf. Denson and Jahn-Sudmann 2013), but also how these platforms inscribe themselves – as a serialized factor in their own right – into the parameters of computational expression. Whereas video games serve here to highlight the differences between digital and pre-digital serial forms, Dominik Maeder approaches things from the opposite direction, arguing that the interfaces of Netflix, Hulu, and other digital streaming services embody a form of spatio-temporal serialization that, already anticipated by TV series, is closely related to (pre-digital) televisual seriality. As a complementary perspective, Daniela Wentz’s paper shows how certain TV series anticipate their own digital afterlives in the form of fan-made gifs and memes. Finally, Scott Higgins provides an “archeological” perspective, exploring the ludic dimensions of the operational aesthetic, which anticipates computer games in pre-digital forms, thus offering a fruitful case for rethinking digital seriality from a media-comparative perspective. Allen, Robert, and Thijs van den Berg, eds. Serialization in Popular Culture. London: Routledge, 2014. Denson, Shane, and Andreas Jahn-Sudmann. “Digital Seriality: On the Serial Aesthetics and Practice of Digital Games.” Eludamos: Journal for Computer Game Culture 7.1 (2013): 1-32. Jenkins, Henry. Convergence Culture: Where Old and New Media Collide. New York: New York UP, 2006. Kelleter, Frank, ed. Populäre Serialität: Narration – Evolution – Distinktion. Zum seriellen Erzählen seit dem 19. Jahrhundert. Bielefeld: Transcript, 2012. Manovich, Lev. The Language of New Media. Cambridge, MIT, 2001. 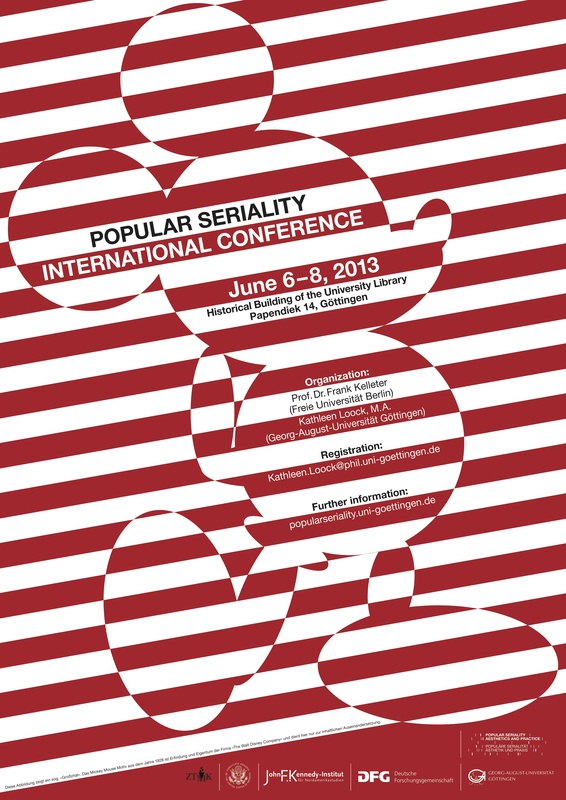 Above, the wonderful poster for the upcoming “Popular Seriality” conference in Göttingen (June 6-8). Below, the final program. More info about the conference can be found on the homepage of the DFG Research Unit “Popular Seriality: Aesthetics and Practice,” here. Above, the preliminary program for the upcoming conference of the seriality research group that several of my colleagues and I are involved with. Most readers of this blog will already be familiar with the seriality group, but in case you’re not: The Research Unit “Popular Seriality—Aesthetics and Practice,” funded by the German Research Foundation (DFG), brings together 15 researchers from the fields of American Studies, German Philology, Cultural Anthropology/European Ethnology, Empirical Cultural Studies, and Media Studies. Since 201o, six sub-projects have been investigating a narrative format that has become a defining feature of popular aesthetics: the series. The Research Unit addresses questions concerning the wide distribution and broad appeal of series since the 19th century and asks which new narrative formats have emerged through serialization. Further questions are: How do series influence the way we perceive and structure social reality? How are serial characters revised when they undergo one or more media shifts? How can we explain the progressively shrinking boundaries between producers and recipients in long running series? Which transformations in the field of cultural distinctions are produced by complex serial narratives, which are increasingly embedded in highbrow lifestyles and canonization practices? From June 6 to 8, 2013, towards the end of the first funding period, the Research Unit will hold an International Conference in Göttingen. Talks will be given by members of the Research Unit and well-known researchers in the field of popular seriality. Among the scholars presenting at the conference are Sudeep Dasgupta, Jared Gardner, Julika Griem, Scott Higgins, Judith Keilbach, Lothar Mikos, Sean O’Sullivan, Patricia Okker, Irmela Schneider, Sabine Sielke, Ben Singer, William Uricchio, Constantine Verevis, Tanja Weber und Christian Junklewitz. Jason Mittell will give the keynote lecture.